When winter comes and your children are badgering you for things to buy, you need to get into the true winter spirit and find them something that they can have fun with. Rather than get stuck inside your home during the cold weather, there are a few things you can do with your family that will prove to be exciting. The good news is there are plenty of activities that you and your family members can partake in that will keep everyone warm and excited. Before looking at these 10 essential winter activities for families, it is essential to lay down and follow a couple of simple rules. The first rule is you need to get your children involved in whatever you do including preparations and cleaning up. Second, when planning winter activities for your family, try not to go overboard. The idea is to have fun and not to be stressed. If you want to enjoy the winter with your family, there are a few things you should consider that will go a long way in making everybody happy. One of these activities that will prove to be fun and which everyone can take part in is to learn some fresh proficiencies. If you want to entertain your kids, there is no better way to do so than by learning magic tricks. All you need is some self-working card tricks that you can play with your children and have a good time. Another option available to you is to play with water beads. Alternatively, you can also think about having a themed bath time or you can allow your kids to play with dyed spaghetti. These are the kinds of activities that will prove to be enjoyable and they will keep your kids happy and excited. One of the more exciting ways to have fun with your family in the winter season is to make them use a video camera to write as well as record shows. To make this activity more exciting, you should encourage your kids to add some sound effects. Another fun activity is to hold a family fashion show or you can encourage your children to put on a play. There are a number of fun family games that you can take part in the winter. For example, why not play charades or add-a-line or you can even think about holding a mystery party. One great activity that you should encourage your family and children to take part in is to bring out your China and have a great tea party. Hot chocolate is the perfect beverage and that along with encouraging everyone to call everyone else Dahling, will make the party truly memorable. There are many Olympic style activities that you should take part in the winter including seeing who can hop on one foot for the longest time. 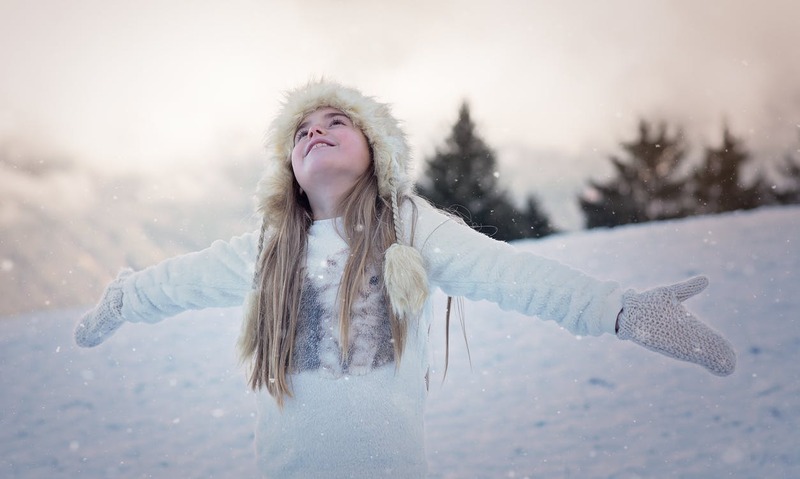 In the snow, you can encourage your children to do somersaults and by grading their performance you can add a touch of competitive spirit to this activity. Children would love nothing more than to try out some scientific experiments like walking on eggs or making a snowstorm in a jar. Technology can prove to be very interesting, especially when you use it to play dance games and record everyone as they perform. Alternatively, why not pull out your phone and take some goofy pictures of everyone in the snow? Doing something that your children have been begging you to do is one of the better winter activities for you and your family. Just make sure you do something special and that your children are going to love what you do. There are several random activities that you can do in the winter with your family that will excite everyone. For example, why not create scavenger hunts for your children or why not create a treasure hunt for them? When it is cold outside, these are some fun activities that you and your family will love doing. So, give these activities a shot and make this winter truly enjoyable and memorable. ← All the best in the New Year 2018!